These Fall Leaf Auditory Processing Activities are great for addressing listening skills in kids with or without auditory processing difficulties. Try these creative ideas at home or in the school yard to easily strengthen auditory abilities for better learning. Perfect for children of all ages and developmental levels, it's a Fall themed activity that will help kids learn to listen to details! Listening isn't easy for everyone. 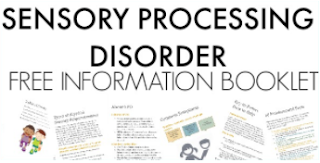 For children with auditory processing disorders, learning is difficult. Imagine identifying and localizing sounds in a classroom that is filled with chattering children, scooting chair legs, pencils scratching on paper, and moving, sound-making children. 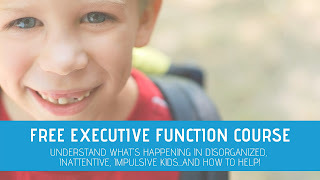 The process of localizing sounds, recognizing sound patterns, discriminating between different letter sounds, and interpreting auditory information can be less than optimal for the child with difficulty processing the sound information that is coming in. 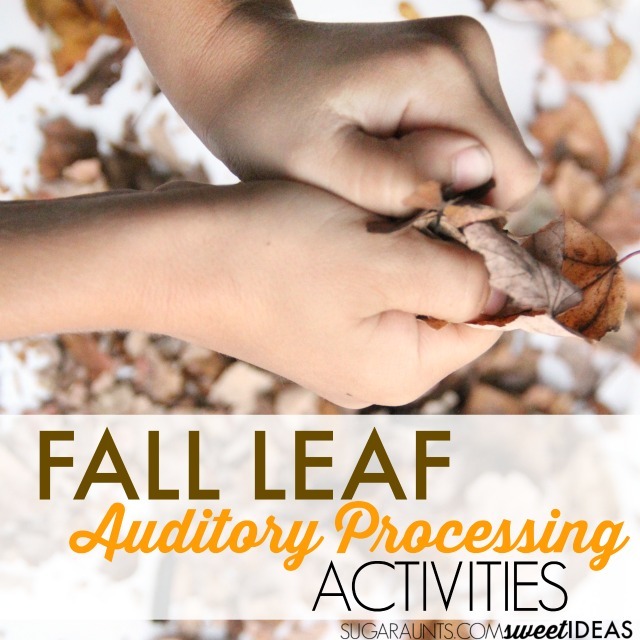 Try these listening activities using Fall's leaves in a backyard auditory processing activity! Try these activities to help kids who are auditory learners. To build and strengthen auditory skills, try using leaves this Fall. The crunchy, dry leaves that cover the ground are nature's sensory tool when it comes to auditory processing needs. We first talked about the fall leaves that are covering our lawn and read through this month's Virtual Book Club for Kids book, Leaf Man by Lois Ehlert. We talked about how the leaves of fall are all different colors, shapes, and sizes but have one thing in common: a great crunch when they are dry! 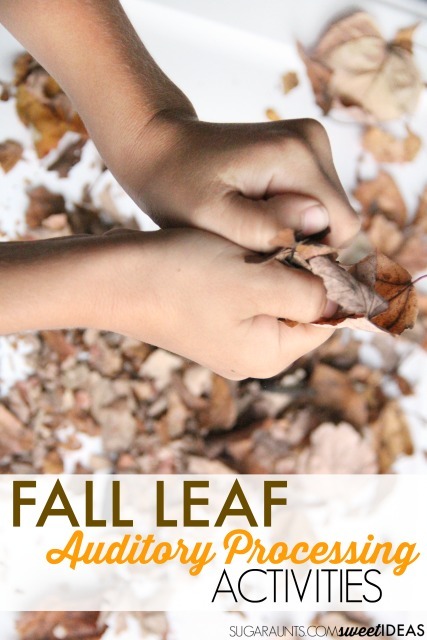 To do these sensory Fall Leaf Auditory Processing activity, you'll need a bunch of leaves that have fallen from trees. Dry leaves will work best, so if the leaves are newly fallen, you will want to gather leaves up in advance. Let them dry indoors for several hours or overnight to get a great "crunch". Next, spread out the leaves in a big bin. An under the bed storage bin works great for this activity. 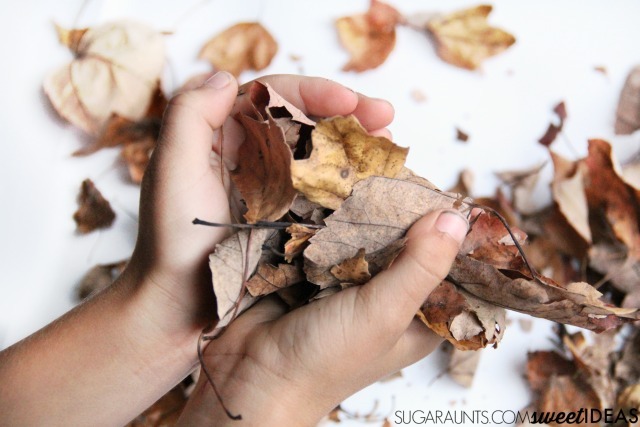 Show your child how to squeeze and crumble the leaves using their hands. Ask them to listen to the crunch of the leaves. Notice how the leaves crumble and give off a satisfying noise as they are shifted around in the bin. Where is that leaf? Ask the child to sit in front of the bin (or if you are outside, sit in front of the adult. Ask the child to close their eyes. Using one hand to crunch leaves, ask the child to say or point to the side that the leaf crunch is coming from. Add a high/low and front/back component by moving around to crumble the leaves, too. Leaf Pattern- Ask your child to gather a bunch of dry leaves. Using a pile of leaves of your own, complete a crunching pattern as you crumble leaves at different speeds and in each hand. The child can then repeat the pattern. Sound Stop- Crumble and crunch the leaves. At intervals, stop crunching leaves and wait for a moment. Ask the child to say "Now!" when the leaves stop crumbling. Falling Leaf Sounds- With the child's eyes closed, crumble leaves high and low above and below the child. Ask the child to determine if the leaves are above them or below them as they determine the location of the sound. Lots of Sound Leaves- Add other sounds to the background noise: talking, music, rattle toys, birds chirping, etc. Ask the child to determine when the sound of crunching leaves stop. You can also add a localization dimension to this activity to work on auditory figure ground awareness. 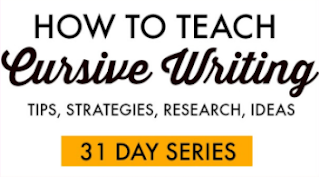 Kids can complete these activities on a one-on-one basis or in a group setting. For kids with sensory issues, or those that are sensitive to crumbling leaves, try using gardening gloves while crumbling. How would you use Fall's leaves in a sensory or auditory processing activity? 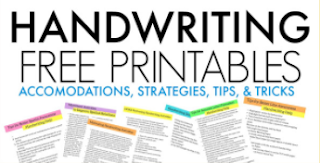 Visit our auditory processing activities page for more creative ways to address auditory needs.